I don’t participate in the current craze for pumpkin-spice EVERYTHING. Still, I like to make something new every fall that involves pumpkin. 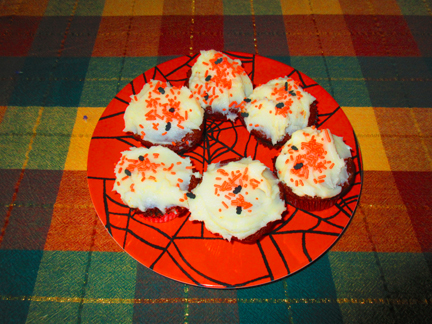 This fall it was some simple cupcakes: moist and tasty, easy to share with a crowd. I like them with cream-cheese frosting, but the icing is up to you. In fact, you may choose to eschew frosting altogether and call them pumpkin muffins. I made them this past week on television, along with my beloved broccoli soup. The combination made a perfect simple supper the next evening. Mix the oil and sugar in a large bowl. Add the eggs 1 at a time, beating well after each egg. Beat in the vanilla, followed by the baking powder, the baking soda, and the spices. 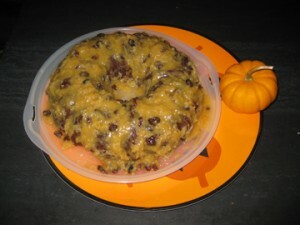 Stir in the flour, followed by the pumpkin, the coconut, and the raisins. Spoon the batter into the prepared tins. Bake until the cakes tests done, about 20 to 25 minutes. Frost with your favorite frosting (or not!). Makes about 16 cupcakes. 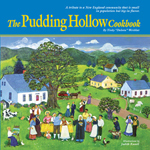 Before I get to today’s recipe, I’d like to remind readers about my beloved Pudding Hollow Pudding Festival, scheduled for TOMORRROW—Halloween! Anyone within shouting distance of western Massachusetts should definitely come (and perhaps enter the festival’s pudding contest). This event offers food, music, and lots of fun. You may come as you are, of course, but there WILL be a prize for best costume for those who feel like dressing up. AND I wanted to mention that we have a winner in the drawng for the book The Perfect Pumpkin. 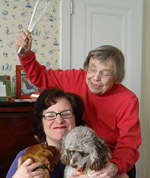 Congratulations to Madge Solomon of Falls Church, Virgnia! I hope to have another drawing soon. Now, on to a perfect Halloween recipe. This cake is ideal for the season—moist, full of good things (a treat), and a little surprising (a treat). 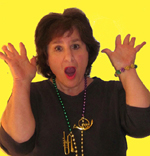 I learned to make it from my graduate-school friend Teri Tynes. Teri is smart, vivacious, and just plain fun. Her award-winning blog, Walking Off the Big Apple, is the thinking woman’s (and yes, the thinking man’s) guide to New York. Teri uses her vast knowledge of American culture and history to view the city through the prisms of art, literature, fashion, and photography. I love to make her pumpkin cake at this time of year and think of her. 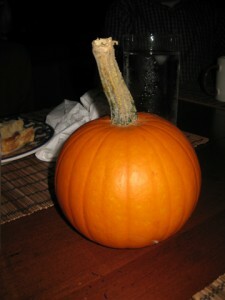 My friend Chas grew this lovely little pumpkin. Preheat the oven to 350 degrees. Grease and flour a 10-inch Bundt pan (or spray it with Baker’s Joy). Mix the oil and sugar in a large bowl. Combine 3 cups of the flour and the other dry ingredients and add them to the oil and sugar along with the pumpkin. (Reserve the remaining flour.) Add the eggs 1 at a time, beating well after each addition. Beat in the vanilla. In a separate bowl, mix the remaining 1/8 cup flour with the nuts and raisins. Add them to the batter. Spoon into the prepared pan. Bake for 1 hour, or until a toothpick inserted into the cake comes out clean. Frost with raisin frosting. Serves 10 to 12. This icing is a bit tricky. It can almost burn if you don’t stir carefully. It looks a little strange and lumpy as it goes on the cake, but the texture of the final product is one of its joys. I love the fact that it’s SUPPOSED to look messy since most of my baked goods look that way anyway. Combine the first 5 ingredients in a saucepan. Cook over medium heat for 12 minutes, stirring constantly. Remove from heat. Stir in the coconut and raisins. Let the frosting stand for a minute (or maybe 2 or 3) to cool slightly. Spoon and spread it generously over your pumpkin cake. 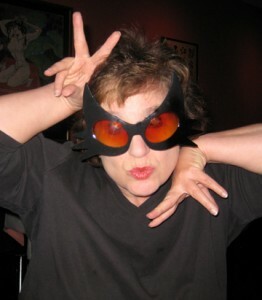 I was hoping to look exotic and gorgeous in these glasses, like Halle Berry in "Catwoman." Instead, I'm afraid I look more like Gloria Swanson in "Sunset Boulevard"--creepy and middle aged. Oh, well ... Halle, Gloria, and Tinky all wish you a Happy Halloween!